Courthouse Butte and Bell Rock in Sedona Arizona. 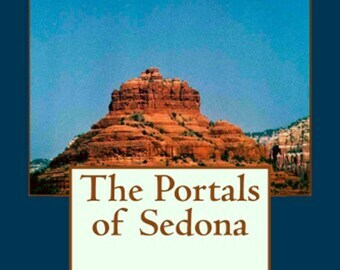 Sedona /sɪˈdoʊnə/ is a city that straddles the county line between Coconino and Yavapai counties in the northern Verde Valley region of the U.S. state of Arizona. As of the 2010 census, its population was 10,031. 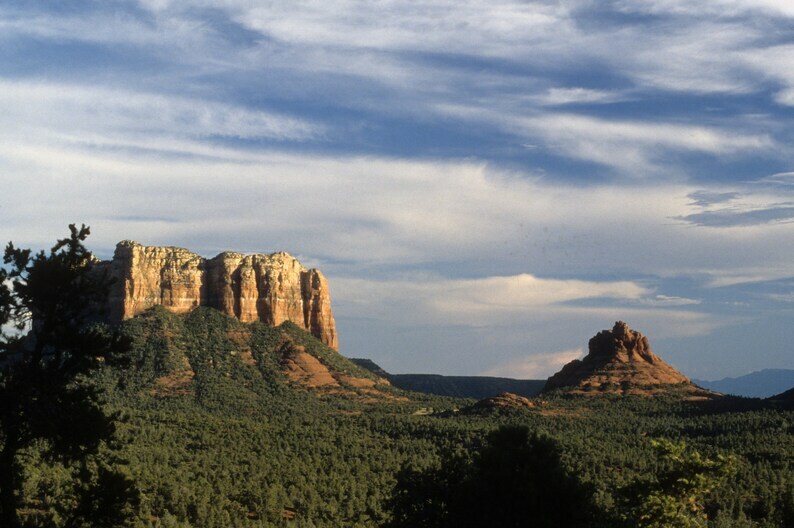 Sedona's main attraction is its array of red sandstone formations. The formations appear to glow in brilliant orange and red when illuminated by the rising or setting sun. The red rocks form a popular backdrop for many activities, ranging from spiritual pursuits to the hundreds of hiking and mountain biking trails.